#biketoberfestnyc NYC DOT is excited to announce the launch of Get Pumped! Pop Up Commuter Assistance Stations as part of the #biketoberfestnyc cycling promotions in October. Take a ride on the Jamaica Bay Greenway! Did you know that the Jamaica Bay Greenway is a network of 13 miles of walking and bicycling paths through 10,000 acres of parks and beaches? Harlem River Bridges Access Plan Round 3 presentation available online! As part of the Harlem River Bridges Access Plan, the NYC DOT is hosting a third and final round of workshops in an community-driven planning process to increase safety and mobility for pedestrians and bicyclists travelling between the Bronx and Manhattan across the Harlem River. On Wednesday, October 28th, NYC DOT along with our community engagement partner UPROSE, held the first community workshop for the Uplands Connectors Project in Sunset Park. 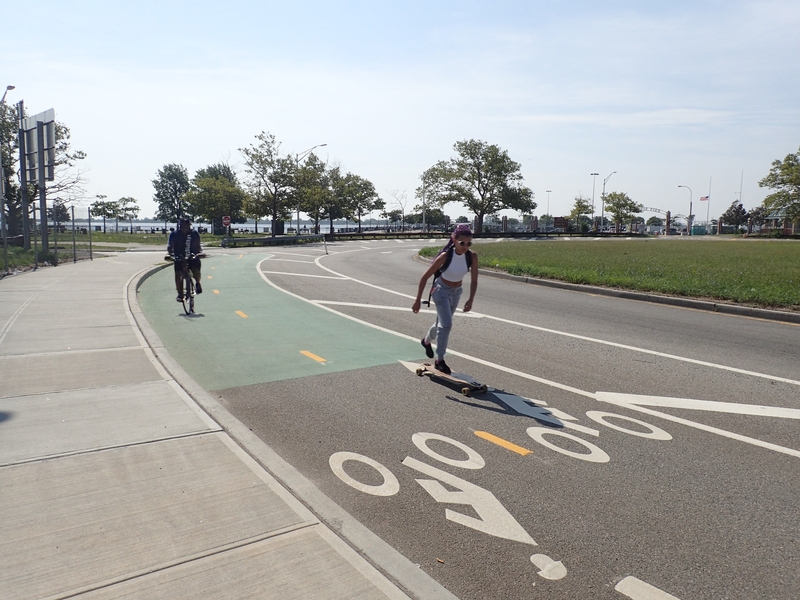 The NYC Department of Design and Construction (DDC) and NYC DOT presented the Final Design of the Owl’s Head Park Connection section of the Brooklyn Waterfront Greenway to Brooklyn Community Board 10 on Monday, October 5, 2015. NYC DOT has partnered with UPROSE as our community engagement partner for the Uplands Connectors Project in Sunset Park. NYC DOT is launching a one-year, community-driven planning process to increase safety and mobility for pedestrians and bicyclists traveling between the Bronx and Manhattan across the Harlem River. Launch of the the Harlem River Bridges Access Plan! NYC DOT is preparing to launch a one-year, community-driven planning process to increase safety and mobility for pedestrians and bicyclists traveling between the Bronx and Manhattan across the Harlem River.